While reading this quite substantial book I found myself experiencing a whole gamut of reactions including surprise, shock, amazement, anger, suspense, hopefulness, and finally, pride. All this because Geoffrey Wawro has produced a detailed study of events I was less knowledgeable of than I thought and has done it with no holds barred. The story of the American involvement in the Great War is a complex one, both depressing and uplifting, and Sons of Freedom doesn't hesitate to show it. The subtitle of this almost 600-page study initially gave me pause, thinking it wasn't a claim that would readily be accepted by the French and British. However, the author, who has several publications already to his credit including the noted A Mad Catastrophe: The Outbreak of World War I and the Collapse of the Habsburg Empire (2014), presents a powerful argument. By the end of the book I was convinced that despite its initial reluctance, uncertainty and disorganization, and many almost disastrous mis-steps, the United States did indeed very considerably affect the outcome of the war. Without the Doughboys the agony would have been prolonged and the human costs even more terrible. Preceding the seventeen chapters of Sons of Freedom is an Introduction examining the great variety of Americans who went to war in 1917-1918. Included were professional athletes, baseball players, pitchers and coaches, many probably still remembered by some sports fans. Politicians and sons of politicians fought, as did noted musicians, professors, newsmen, authors, artists, and photographers. Eddie Rickenbacker, a race car driver who was to be General Pershing's chauffeur, soon transferred to aircraft and became America's top fighter ace. But above all it was the citizen-soldier-eventually in their millions-who provided the bulk of American strength and who in their enormous numbers went 'over there' to face the enemy. This book is easy to read and the narrative proceeds in clear historical sequence. The first six chapters take us from America's initial non-involvement and the political debates surrounding the outbreak of the war in Europe to a nation "Too proud to fight" (Ch. 2), and on to recruitment, training, embarkation, and "Lafayette, we are here" (Ch. 4). Chapters 7 through16 detail specific American operations: Belleau Wood, Chateau-Thierry, Second Marne, and each of the Meuse-Argonne battles from Montfaucon to Sedan. The final chapter "Peace?" casts an ominous shadow over the future with its question mark while summing up the author's thesis: the British and French had depleted their fighting spirit and resources by 1918, and "without those vast American reserves and the American blows in the Aisne-Marne salient, Saint-Mihiel, and the Meuse-Argonne, the French, British, and Italians would have been unable to defeat the Germans in World War I"(p. 509). Very little is left to the imagination in Sons of Freedom. The great masses of men, so often lacking in real training for combat and so often bogged down with vast mountains of supplies on roads that were scarcely tracks, slog their way to the front. There they do battle with tragically outmoded tactics: men with rifles and bayonets in rows, trudging stoically into the face of machine guns, artillery and gas. Thousands will fall, killed or often dreadfully wounded, while many others—the stragglers or "skulkers"—will make themselves scarce if they can, far back from the fighting. It won't be too unusual to be killed by friendly fire. Horses suffer terribly also, and many that are not worked to death starve from lack of fodder. Political and military leaders squabble, and General Pershing is always eager to replace or "blooeye" officers who are not aggressive enough or are too considerate of the lives of their men. Divisions, brigades, regiments and battalions are carefully identified and followed during the action, as are some of the leading officers of distinction. Several black-and-white photos enhance the text. Only the maps in this book fail to add to the narrative. They are too small, lack captions, and often omit place names that we really need if we want to follow the precise geographical movements of the Doughboys—or "Doughs' as they are often called by the author. With the US First Army occupying both banks of the Meuse and commanding the rails at Sedan and the US Second Army scheduled to attack Metz on November 14, Hindenburg had no means to reinforce, withdraw, or provision his army in France. 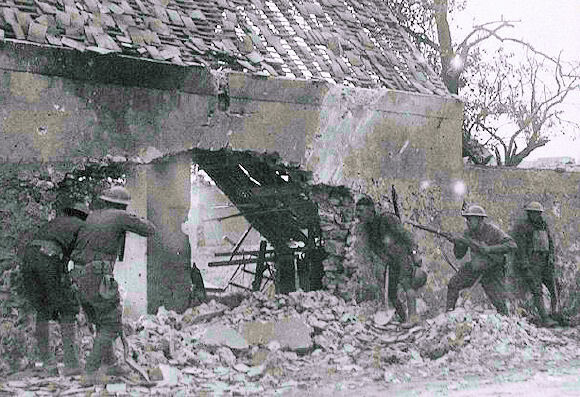 The Doughboys won the war by surrounding the German army in France and Belgium and compelling its surrender (p. 507). Yet, after the war, the Allies (as Wawro points out), "vaunting their own great sacrifices" would deliberately minimize or simply ignore the American contribution to the war. This would sadly be reflected in a lot of histories. Thus, Sons of Freedom is a refreshingly solid correction for the record. 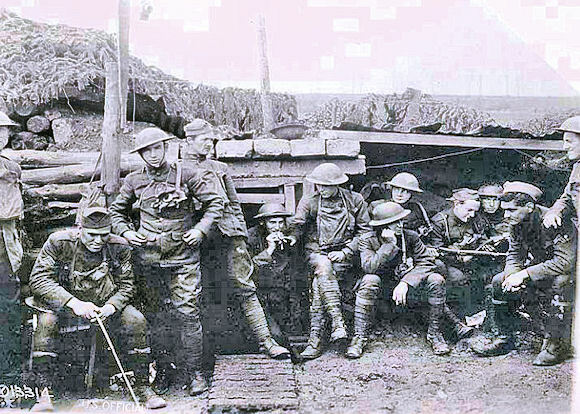 I recall a few years ago chatting with a British Army captain who confessed he'd never realized the U.S. had taken part in World War One. I only wish I'd then had this excellent book to give him. David, thanks for this excellent review. I've got this book on my shelf, and I can't wait to dig in. An example of "American First" history. Book is a totally unbalanced account. Author never gives a word of praise to British and French soldiers who principally stopped the German spring offensive. Great review, David. The book sounds like it makes a clear case. I'd like to balance it against the complaint of Anonymous above. And arg! on the maps. I have read the book and it is a long one but a must read. It will completely change your thoughts about the American involvement in WW1. It also will make you reflect on how difficult it was to win. And the cost.